Digimon Power was written by Hank Schlesinger. Digimon Power was published by St. Martin's Press. 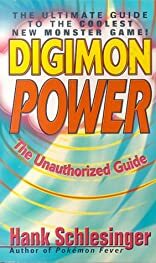 Subjects of Digimon Power include Games / Gamebooks / Crosswords, and Video & Electronic - General.